Read This: A Transformers Vs. G.I. Joe Comic That's Fun And... Smart! 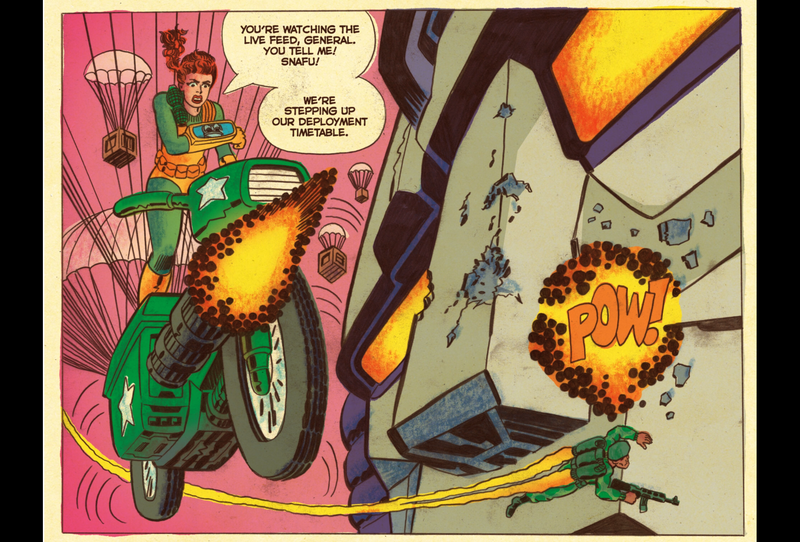 Comic book recommendation: You can set your expectations low for many toy tie-in comics but Tom Scioli and John Barber's Transformers vs. G.I. Joe ongoing comic series from IDW is shockingly impressive. The writing is wonderfully arch, but the main draw is the paradoxically sophisticated-yet-primitive style of Scioli. Or, better, just go to Comixology and download the series' 0 issue for free.